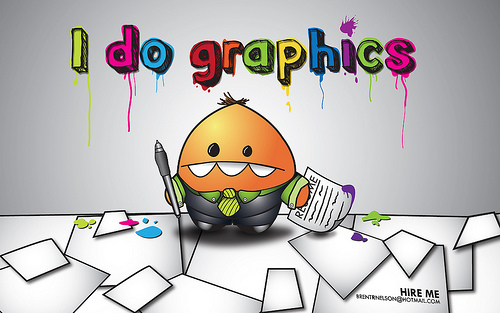 Graphic design offers a powerful, visual element to content marketing. It is an effective tool for capturing the attention of an audience. When used correctly, it enhances the delivery of your message with the power to direct the reader’s focus. It can set the tone or mood in which your message is received. For marketers with little graphic design experience, there are several basic skills you can learn and sharpen with practice over time. Eventually, you can develop your own style. Acquiring an understanding of basic design tips will also enable you to provide others with valuable feedback on in-house projects. This could also help you to develop the ability to take the lead on upcoming projects yourself. Lines offer balance of design and composition. Lines are the most basic element of design and are useful for dividing space, directing the eye to a specific location, or creating side panels. The use of shapes can create a spotlight on a portion of your page. 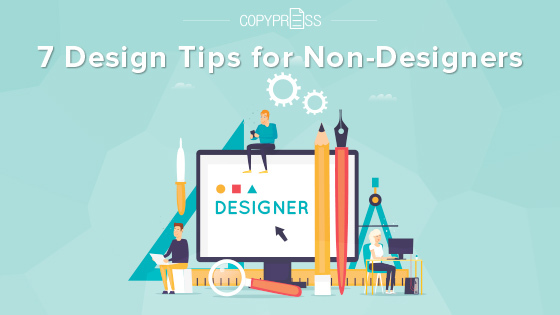 Shapes can be used to pique interest, but it is important to be mindful of how they interact with the rest of the design components on your page. Scale, which is the size of the objects on your page, is used to add emphasis and keep the eyes interested. Scale, combined with hierarchy, can help you feature the most important part of your message by making it the most visually dominant. Symmetry can be achieved by using horizontal and vertical lines to balance out other design elements. To create proportion, analyze how the weight of your fonts corresponds to the dimensions of other elements on your page. Sometimes, too much symmetry on a page will fail to capture attention and can be boring. Conversely, asymmetry can be used to create dominance or emphasis, something that is very intriguing, or a critical focal point. Use high-contrast color schemes to create a visual impact and focus attention on elements like key information, keywords, or icons. Choosing a color palette with one to three primary colors and one to three secondary colors that contrast and complement each other will offer consistency and yet enough contrast to make things pop. Play the colors against your typefaces, and note that more delicate typefaces may get lost against a colored background. It may be necessary to adjust the color of the text or background colors to create a stronger distinction between the two for improved readability. Free apps that share amazing color pallettes are available online for inspiration and are worth checking out. When it comes to making a bold statement, sometimes less is more. Create a design that flows beautifully and simply by surrounding text with negative space to create a major impact. Negative space, or white space, directs attention, improves readability, and allows you to focus on choosing an exceptional font. Conveying your message is what it’s all about, so readability is of primary importance. You can set the mood of your design with your choice of font style. It can be playful, serious, sophisticated, or dramatic. While you don’t have to restrict your design to one font only, choosing to stay within one font family that offers several variations is the best way to ensure continuity. Using more than two to three fonts per graphic will make it difficult to develop a unitary design. Stylized fonts are harder to read, and therefore should be used for large header text. Choose a more minimal font for body text to share key information. Use texture styles to create a three-dimensional appearance in your design. Textures can be understated or very bold, and they are starting to become quite popular. Texture styles include paper, concrete, and fabric, and they often work well against smooth or flat color tones. Harmony – Does It All Work Together? Every element of your design should look like it effortlessly works together. The design should not overpower the message. It should convey the message clearly and easily. Check to make sure that elements align on the page, the text is readable, and that there is enough contrast and space between graphics and features. Here is where feedback from others comes in handy. Getting and providing valuable feedback is so important in the design development stage. While it can be discouraging to hear criticism, constructive criticism is key in helping you become a better graphic designer. When you master a number of design tips, your feedback will be valuable to others. Sites like Behance and Dribbble showcase some extraordinary work from leading designers. As you begin to work on your own creations, these are great resources that can give you inspiration. Build a targeted list of a variety of influencers on Twitter so you can look at their work back to back. Choose among those whose work you admire, who are well-known among their peers, and some whose work doesn’t really speak to you. Looking at a variety of work objectively will help you learn more about design as a whole. Create a folder where you can save examples of work that catches your eye. This can help you recognize current and past trends, as well as help you mold your own emerging style. When you start observing with the eye of a designer, you will grow to understand the whole process behind a design and the elements that were integrated to produce a piece. Depending on the skills you acquire, you may be able to recognize the tools that were used or which part of the design was created first. You will be able to create remarkable graphics that will communicate clearly to your audience and do their job effectively. You will be able to provide valuable feedback to others on in-house projects, or take the lead and create your own.